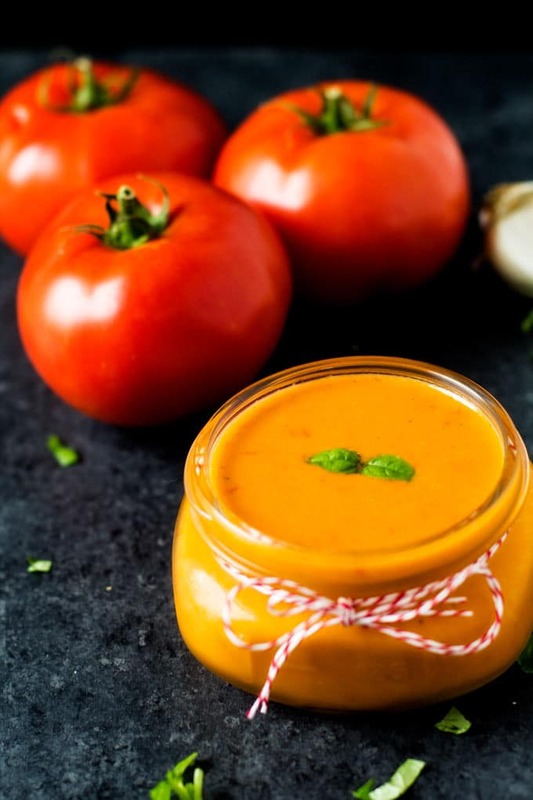 This Tomato Garlic Dressing will thrill even the most reluctant salad eater. It is the perfect addition to your summer salad. 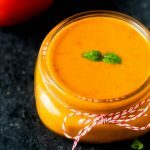 If you have never made a Tomato Garlic Dressing in the summer, now is the time! With tomatoes at their peak, I am always so excited when I hit the grocery store or farmers market that I buy too many. Not enough to start canning or freezing, mind you. (Because that would require planning.) Just a couple more than I can eat before they get overripe. This can be a bit of a challenge because I am the only one in our family that will eat raw tomato. They are weird, I tell you. I mean, is there any better snack than a slice of tomato and fresh mozzarella with a basil leaf or two, balsamic vinegar and a little flakey salt? 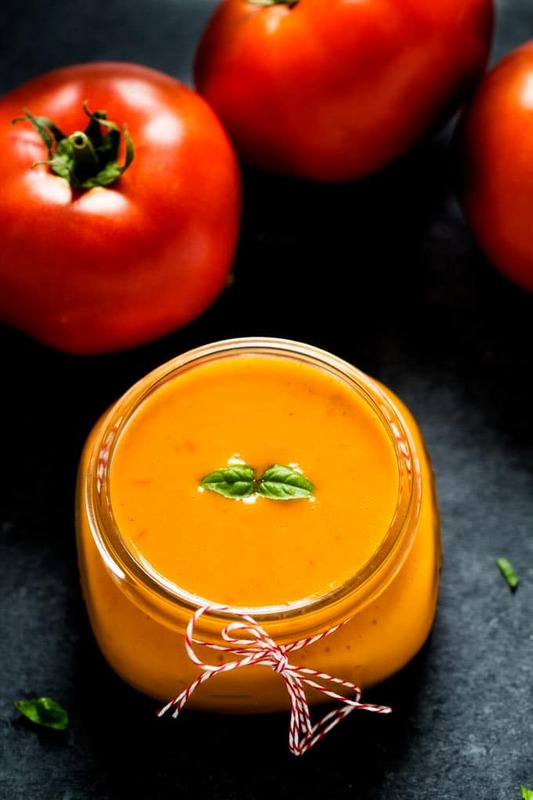 This Tomato Garlic Dressing is a fabulous way to use up those tomatoes that are in danger of hitting the compost bin and to get some incredible nutrients in those weird family members who fail to recognize the joy of fresh summer tomatoes. 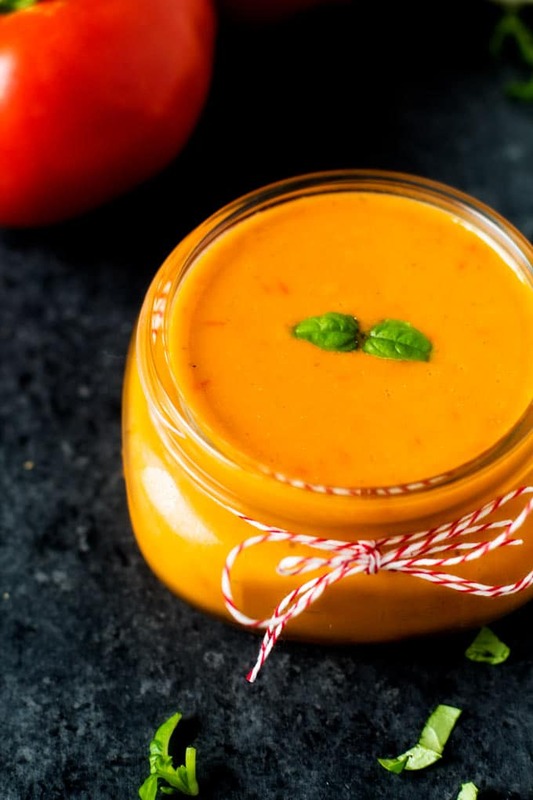 Not only does this dressing look beautiful sitting on your dinner table, but it is so delicious! And everyone knows that the dressing is the most important part of the salad, right? In fact, I almost never order a salad when we eat out unless it is at a place where I am sure they make their own. Bottled dressings just don’t measure up to homemade ones in my humble opinion. To me, it is always worth a few extra minutes to whip up one in the blender. I used MCT Oil (Brain Octane Oil to be exact) because it is good for the thyroid. It also helps you feel fuller than the long-chain fatty acids food in vegetable oils. I also use it in my morning coffee and am full until lunch.) I’ve lost weight and have so much more energy since I’ve started using it! I also use it in my morning coffee and am full until lunch. I’ve lost weight and have so much more energy since I’ve started using it! 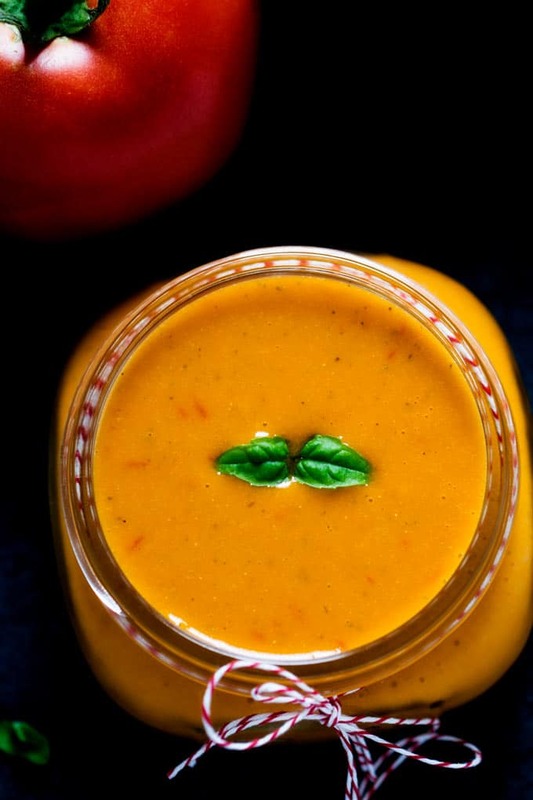 Place red wine vinegar, tomato, garlic, capers, basil, ground mustard and sea salt in a blender. Process until smooth. Add in oil in a steady stream and process until combined. This looks like one I must try! 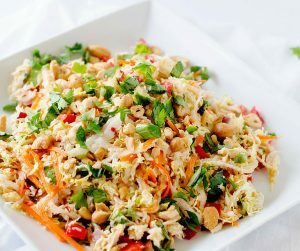 I am ready to try this dressing a.s.a.p. It sounds delicious. Question for you: is Ground Mustard the grainy prepared mustard in a jar or is it the spice isle dry mustard? I always get a bit confused with that. Thank you so much. 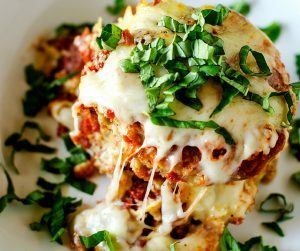 I’m so glad I found this recipe and blog! Hi! It is the spice isle dry mustard. I hope you enjoy it!